Percent of sales originating from mobile devices like smartphones and tablets. It excludes orders initiated on mobile devices but ultimately completed on a desktop. 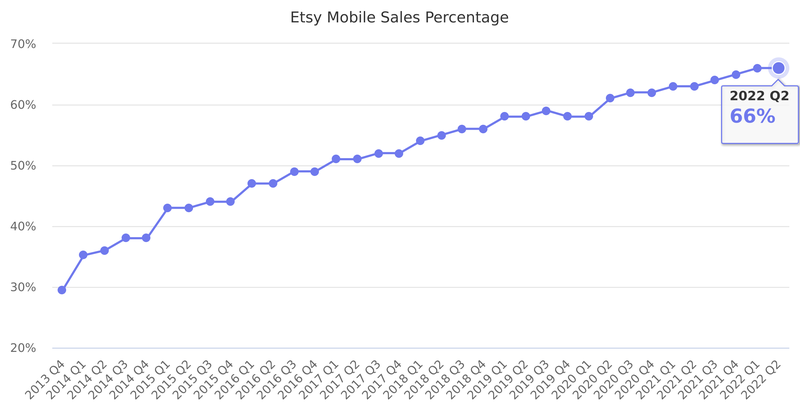 Etsy started tracking this in 2013. Last reported quarter 2018 Q3 it was 56.0%, up by 8% year-over-year from 52.0%.